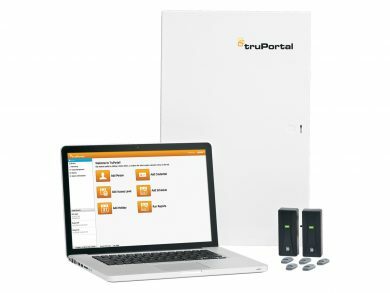 We use products such as TruPortal and ProxyPlus so we can accommodate all of your control needs. A TruPortal web portal offers customers access to their system with an easy to use web portal. A mobile app that also allows users to open doors remotely. Expansion capabilities. Control access to up to 64 doors. Hackworth Systems is a family-owned and operated business in Southampton, Massachusetts. We install and maintain security, fire, and surveillance systems, drawing on 75 years of combined industry experience. Our trained and certified employees provide quality workmanship and responsive service. Serving commercial and residential customers in Western Massachusetts and southern New England. © 2017 - 2019 Hackworth Systems, LLC of Southampton, MA - All rights reserved.